25 Greatest Acting Performances in Indian Cinema: The Forbes List! JV Somayajulu, an IAS officer in his 50s, plays a Carnatic musician, misunderstood for supporting the daughter of a prostitute, ignored by a society where classical music is in decline, and is being overtaken by pop music. It was a surprise hit. It opened to empty seats, gathered speed and, today, enjoys a cult status. 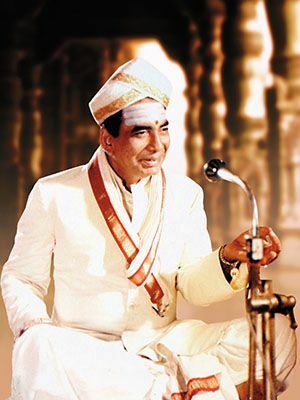 Somayajulu played his part with such dignity and intensity that you can’t listen to any of its hugely popular songs without imagining him performing them as his sadhana. JV Somayajulu in “Sankarabharanam” (Telugu, 1980). Photo Courtesy: Forbes India. “Sankarabharanam” turned out to be a cult film as far as Telugu cinema was concerned, after getting off to a slow start in the box office. Directed by K Vishwanath, the film is remembered for its music, scored by KV Mahadevan. The film was shot by cinematographer-turned-director Balu Mahendra, who later made “Moondram Pirai” with Kamal Hassan and Sridevi (“Sadma” in Hindi). The director of “Sankarabharanam,” K Vishwanath, went on to narrate yet another story revolving around an art form (classical dance) in “Saagara Sangamam” (“Salangai Oli” in Tamil). The film featured Kamal Hassan and Jayaprada in career-defining roles and like “Sankarabharanam,” it is said to be a musical success, with tunes composed by Ilaiyaraaja. "Elphinstone Elphinstone Everywhere": The story of Elphinstone Theatre in Madras, the first with a balcony!